Houston Police arrested a DWI suspect in the fatal crash on the Gulf Freeway service road early Wednesday morning. A young mother and her infant son were killed. 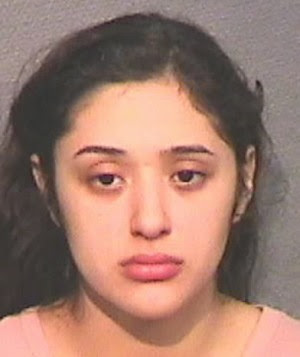 Veronica Rivas, 20, is charged with two counts of intoxication manslaughter. After the fatal crash, Rivas was taken to jail and charged. The fatal crash happened at 18200 Gulf Freeway, I-45 South around 3:40 a.m. February 28,2018. Police say Rivas was driving a white Lincoln MKX sport utility vehicle at a high rate of speed when she rear-ended the female victim’s maroon Scion. The mother and infant in a car seat in the backseat were pronounced dead at the scene. Rivas had minor injuries. Her female passenger also was injured. Both women went taken to an area hospital. With spring breaks and alcohol sales in March, the Houston Police Department DWI Takes Force officers, local law enforcement, the Harris County District Attorney’s Office and Mothers Against Drunk Driving (MADD) will announce their DWI enforcement efforts at 2 p.m. today in front of the Thomas Building at 1200 Travis in downtown Houston. Two vehicles damaged in DWI-related crashes also will be on display. This entry was posted in Asian Community Houston, Community Alert, Community Events, Harris County News, Houston News, Houston Police News and tagged Houston Drunk Driver Arrest, Houston Harris County DWI Enforcement Spring Break 2018. Bookmark the permalink.